When you leave your home daily for your work or school, you want to carry many essentials while keeping your hands free and look stylish at the same time. And a smartly chosen backpack can offer you just that. It’s roomy, un-bulky, keeps your hands free and can look stylish if you look for some factors. Here are tips that will help you in deciding what to look for in your perfectly functional and stylish backpack. Unlike other bags that carry your belongings, a backpack is something you actually wear on your body. Obviously it has to be comfortable and that should be your prior requirement. If it’s not so, you will avoid using it often and it will be a waste of money, and still, if you use it frequently, it could hurt you. Look for a bag that is designed for user’s comfort, particularly its shape on the backside, padding and shoulder straps. A modern backpack has padded shoulder straps, a comfortable back panel and an optional hip belt, and so, its weight is distributed across the body and you feel comfortable. Padded contoured back is adjusted to the natural shape of your lower back thus adding to the comfort. Padded adjustable shoulder straps make sure the back pack sits on your back comfortably, lessening the strain on your back. Padded hip belts lessen the weight on the shoulders and back and put a larger part of it on the leg muscles, enabling you to carry a heavier weight for longer. Another requirement you should look for in a backpack is that it should be durable. Heavy-duty backpacks are often manufactured from super-strong nylon material, straps of nylon and YKK-grade zippers. The most popular materials for backpacks are polyester and nylon. Other durable material is canvas. One more is leather but that raises the price of the bag. Most backpacks are thrown away when shoulder straps are torn, zippers are broken and stitches are undone. 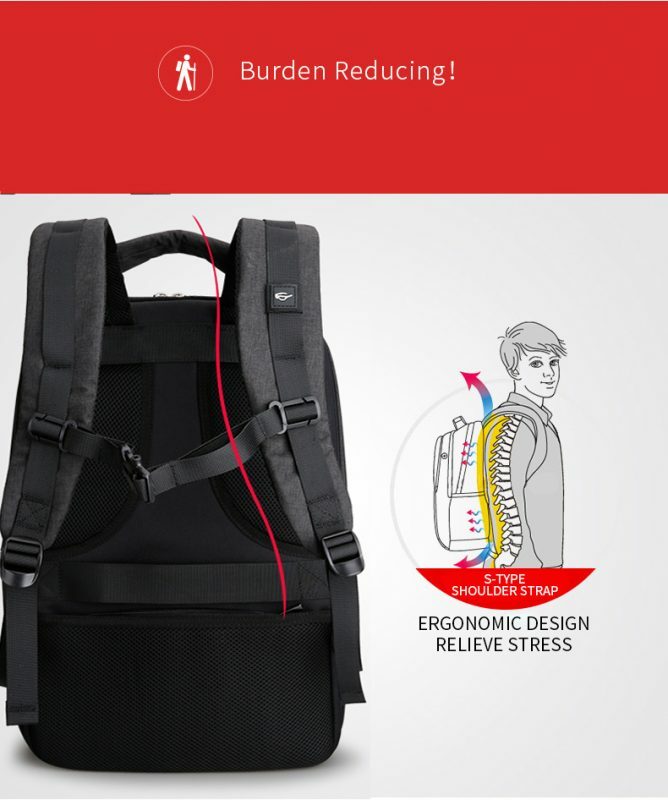 The most prone part of a backpack to tears is its shoulder straps. While checking the material, observe the stitching and thread material keenly. As far as possible, choose double stitching. Once you buy a bag, avoid carrying loads in it that it cannot handle. And if at all, the straps are torn, you can get them repaired from a seamstress. The next important expectation you should keep from your backpack is that it should protect its content well. For this, it should be water-resistant and have padding to protect your delicate stuff like electronic gadgets. 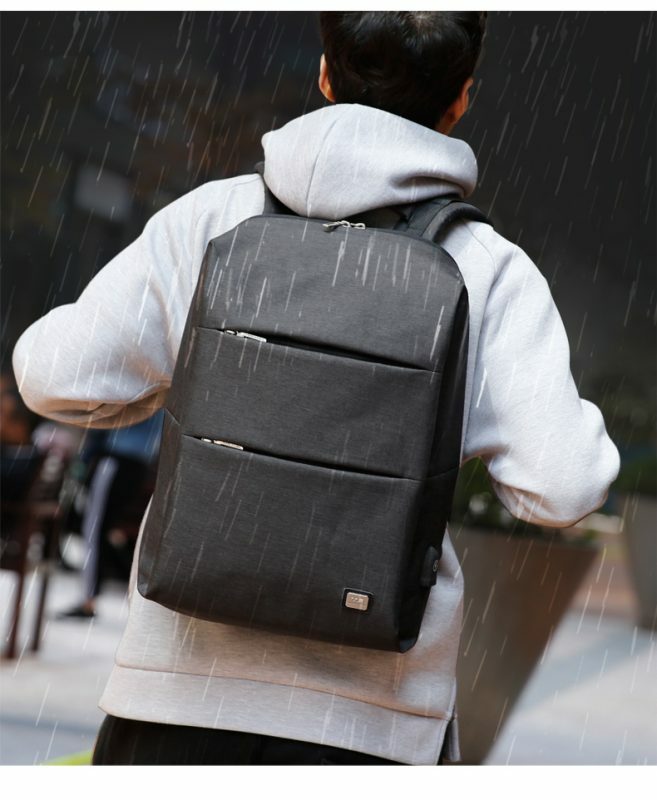 Water-resistant Material: You need not choose a 100% water-resistant material, but you can choose semi-waterproof materials that can protect your belongings in emergency. Bags made from polyester and nylon are also better for backpacking trips and outdoor adventures. 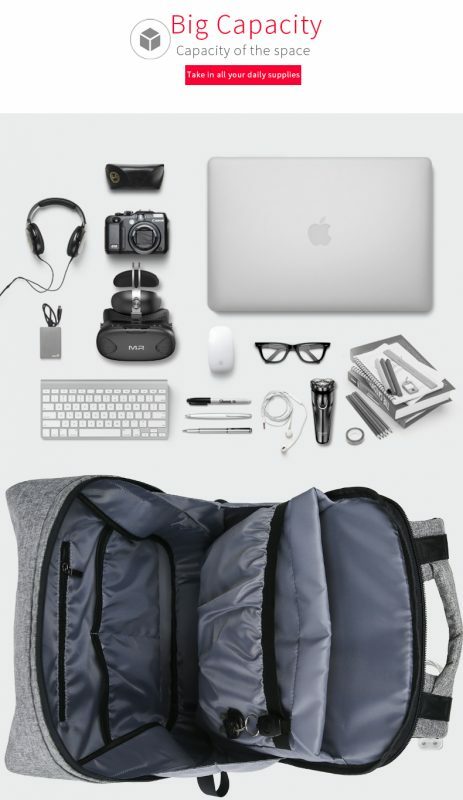 Padding: You can commonly get a padded compartment for tablets and laptops in a backpack. You just have to make sure they are securely attached so as to prevent your pricey gadgets from jostling around in the backpack. Choosing the right size of a backpack includes the size proportionate to your body as well as capability of getting all your items fitted in it. The right size is the one having the length equal to that of your torso and has a snug and comfortable grip on your hips. Torso Length: You can get backpacks of all sizes from ultra small to large, fitting an array of torso lengths. Hip Size: Most of the weight of your backpack should be supported by your hips. Adjustable hip belts come in various hip sizes. Measuring Your Torso Length: Stand while keeping your hands on your hip bones, with your index finger straight out and thumbs backward. Now tell a friend to measure the length from the bony knob at the base of your neck up to the point in the middle of your back where your thumbs are meeting. This is your torso length. If your backpack is not in proportion with your torso, it can’t balance the weight properly. This will result in back pain or you will topple over. And of course, you can’t look stylish with an improperly sized backpack. Backpacks are of different types including travel bags, rucksacks, daypacks and minimalist backpacks which can easily confuse you regarding which one to choose. Besides getting the right design, size and build, you should also consider if the bag will be suitable to your purpose. Are you sure the backpack can accommodate all your belongings you want to carry? Will you be sitting in a classroom (or office room) for most of the day or moving around from one place to another? What type of climate are you likely to face when you will wear the backpack? Whatever activities you’ll do, your backpack should be suitable to them. If you want the backpack for college or short hikes, a canvas backpack is perfect. If you travel on a bicycle, you should have a nylon waterproof backpack. 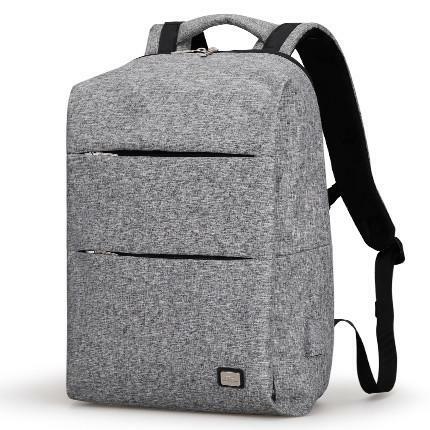 A versatile modernist backpack is perfect for any type of class load including a 15-inch laptop, camera and its lenses, gym clothes, 700-page textbooks or all of these and even a few more. Choosing the right material will ensure you can use the backpack for years. Cotton Canvas: Canvas is a rough weave, heavy-weight cotton material. Modern day canvas is produced from synthetic and natural materials – increasing its water-resistant abilities and strength and reducing weight. Being inexpensive this material is popular among college students and hikers. Cordura: This is an “air-treated” nylon material designed originally by DuPont. It is abrasion-resistant and lightweight. 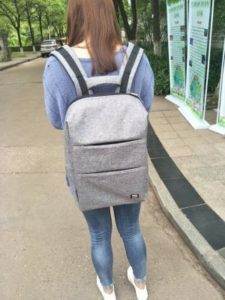 Polyester: This has a greater resistance to UV degradation than nylon; however, it’s not the sturdiest material for backpacks, though it’s tough enough for small children. It is affordable and holds color well i.e. its bags are of vibrant colors. Plus there are other materials like leather, rip-stop nylon and pack-cloth nylon from which you can choose. Choose the right backpack with the help of these tips and you can get the joy of looking great wearing your backpack.